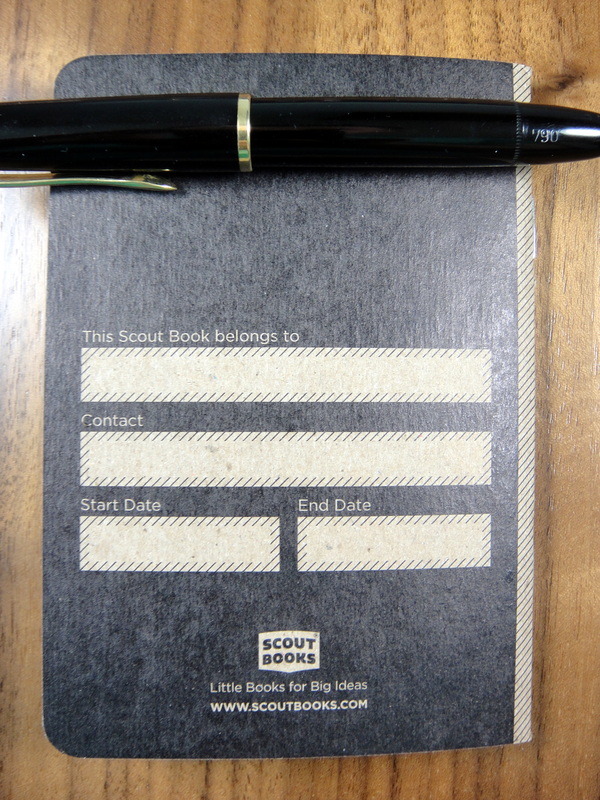 The Scout Books Black Composition notebook is a pocket sized journal that is made in Portland, Oregon and measures 3.5″x 5″ (half an inch shorter than Field Notes). 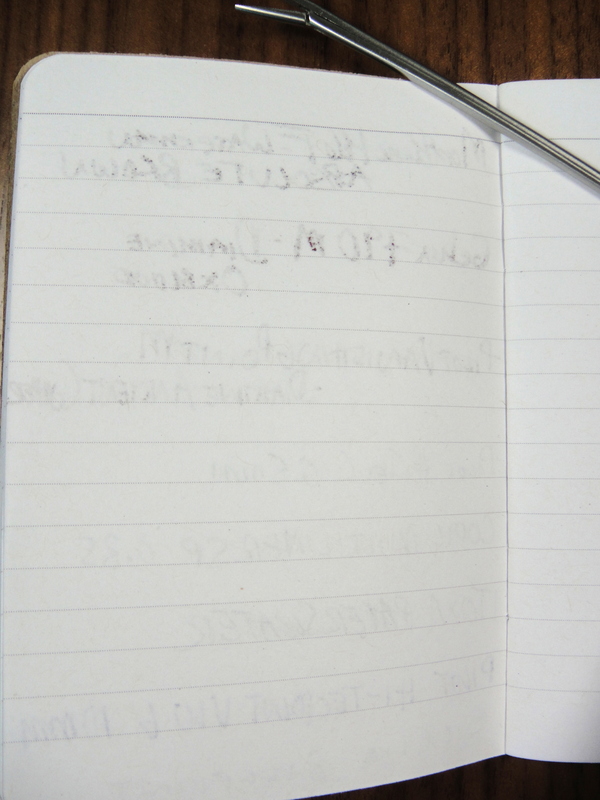 Each Composition notebook contains 32 6mm ruled pages. The paper is recycled and is noticeably thicker than the standard Field Notes paper. In using the Scout Books side by side with a Field Notes I noticed that Field Notes lays much flatter than the Scout Books notebook. 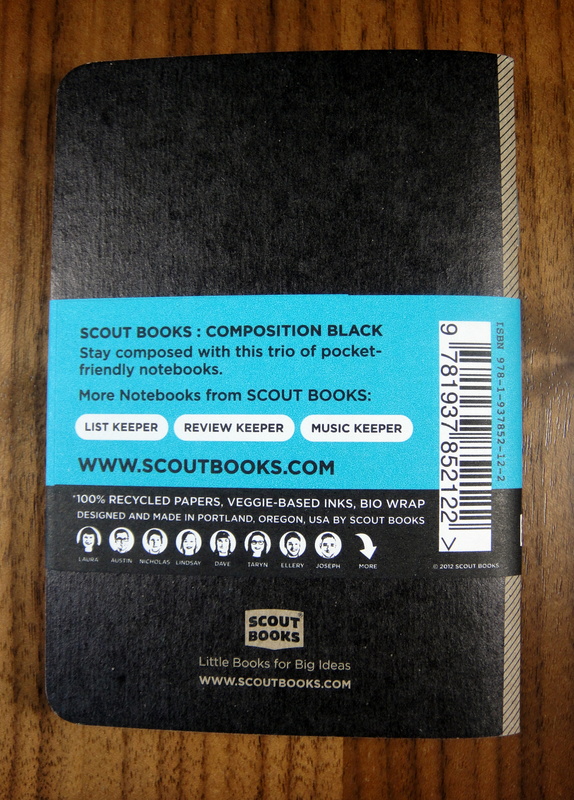 The cover features a simple black design that looks like a composition notebook (imagine that). I like that there is no branding on the front cover. The design is quite good but I have to say that I prefer the look of Field Notes. Although the paper is rather thick, it did not handle fountain pen ink all that well. There is some bleeding and feathering much like you get with a standard Field Notes. 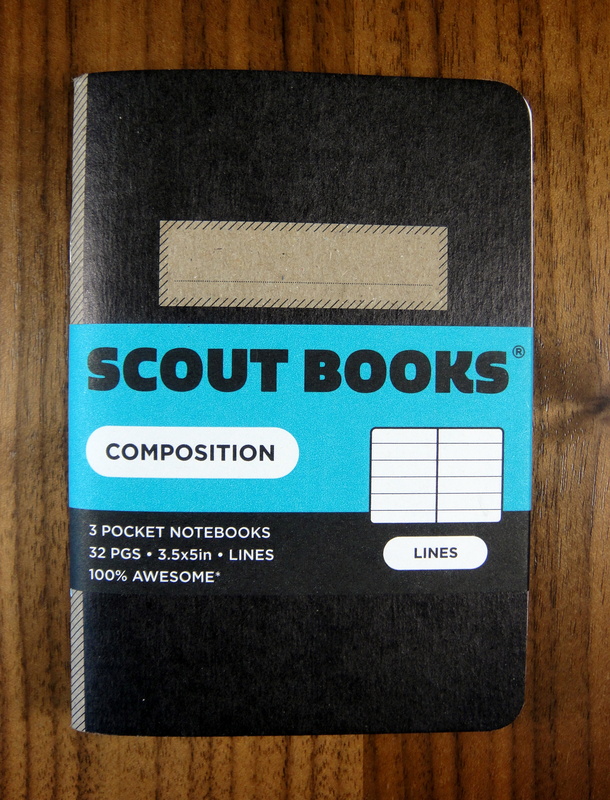 The Scout Books Black Composition notebook sells in packs of 3 for $10. While I do like these little notebooks, I prefer Field Notes as you get get similar performance, more pages, and a better design for the same price. Please note: This product was provided to me at no charge by Scout Books for review purposes. I am nearing the end of my first Scout Book after filling a stack of Field Notes. I like the thicker paper. I use fine nib fountain pens and I see less show through and bleed through with the Scout Books, especially with red inks. I am not happy with the smaller page and wider ruled lines. Turns out that those three missing lines do make a difference. I am still on the fence on just 32 pages vs. 48 in the Field Notes. That’s three weeks to fill a Scout Book compared to four weeks with Field Notes. Thank you for your comment! 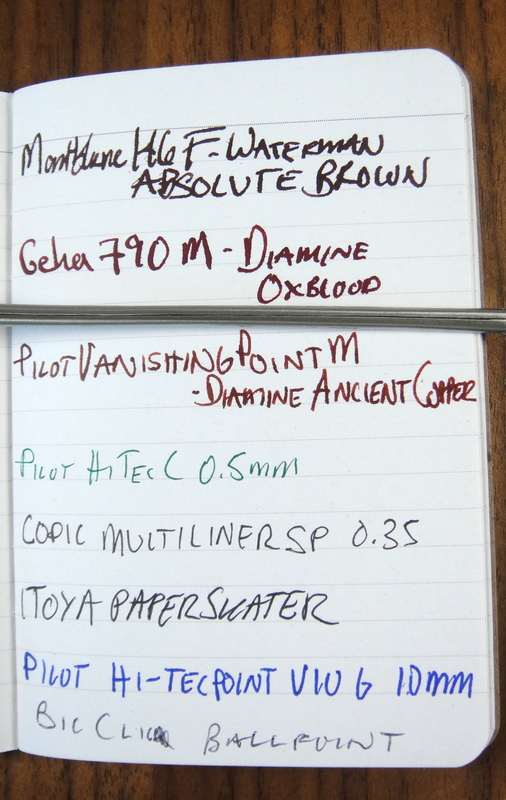 For me the layout and format are really important in a small pocket-sized notebook and even with better paper I would still opt for the Field Notes…for my purposes they are just more usable.